This Will Not Be Televised – NICOLE LIZEE on Vimeo. This year’s Jules Leger Prize winner, Nicole Lizee, was featured at Open Ears Festival in 2012. I had a great time conducting this ace ensemble, led by the Penderecki Quartet with DJ P-Love. One of the great pieces of our generation. A poster from one of my favourite shows, which featured Halo Ballet and some amazing dancers. As I leave the Music Gallery after a long association, John Terauds at Musical Toronto has written a very nice piece about me. Thanks to the MG for all the opportunities and letting me do my thing, for better or for worse. 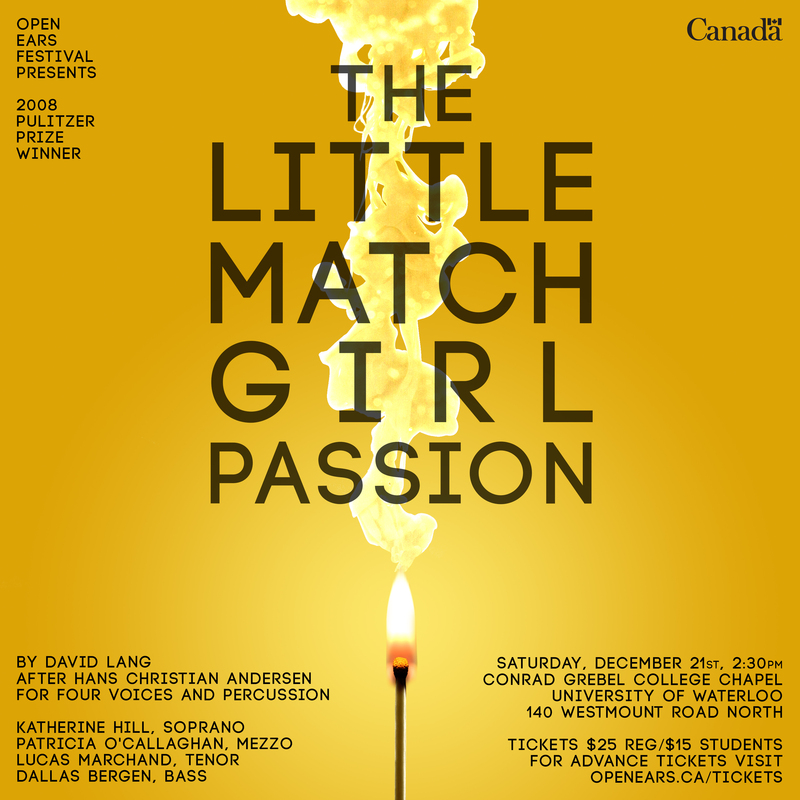 My last show is GREX + David Lang’s Little Match Girl Passion on Dec 20th. Here are some cool videos of stuff I played in, posted by Soundstreams. You are currently viewing the archives for December, 2013 at Gregory Oh.